Kismet Press Llp, 9780995671720, 406pp. 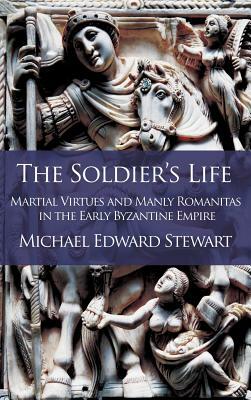 This monograph examines the various ways martial virtues and images of the soldier's life shaped early Byzantine cultural ideals of masculinity. It contends that in many of the visual and literary sources from the fourth to the seventh centuries CE, conceptualisations of the soldier's life and the ideal manly life were often the same. By taking this stance, the book challenges the view found in many recent studies on Late Roman and early Byzantine masculinity that suggest a Christian ideal of manliness based on extreme ascetic virtues and pacifism had superseded militarism and courage as the dominant component of hegemonic masculine ideology. Though the monograph does not reject the relevance of Christian constructions of masculinity for helping one understand early Byzantine society and its diverse representations of masculinity, it seeks to balance these modern studies' often heavy emphasis on "rigorist" Christian sources with the more customary attitudes we find in the secular, and indeed some Christian texts, praising military virtues as an essential aspect of Byzantine manliness. The connection between martial virtues and "true" manliness remained a powerful cultural force in the period covered in this study. Indeed, the reader of this work will find that the "manliness of war" is on display in much of the surviving early Byzantine literature, secular and Christian.